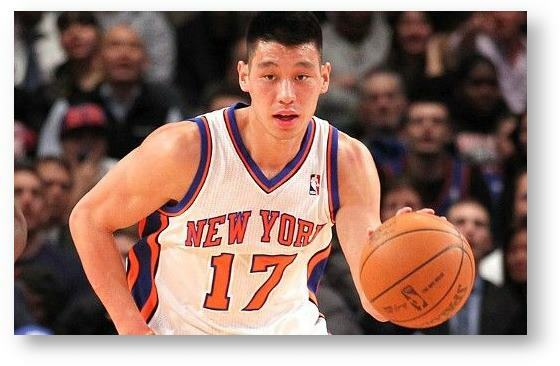 I knew less than zero about Jeremy Lin, the New York Knicks guard, before the start of the NBA season. But I now count myself a fan. Not because of his improbable ascent from a third-string benchwarmer to breakout star for the Knicks. Not because the 136 total points he scored in his first five career starts are the most since the NBA merged with the old American Basketball Association back in 1976-1977. Not because the Knicks were undefeated the first seven games Lin saw major playing time, before finally dropping a game last night. No, it’s because the 23-year-old baller is a committed Christian (like Tim Tebow, my favorite NFL player). I’m grateful to June-Ho Kim, who attended Harvard (that’s right) with Lin, who became friends with him through the Harvard-Radcliffe Asian-American Christian Fellowship, for explained his former classmate’s pre-game ritual. It’s been described as a “nerd” handshake between Lin and teammate Landry Fields. What most observers don’t realize, Kim explained, in an article published in the Washington Post, is that, when Lin is seemingly flipping through an imaginary book, he actually has the Bible in mind. Of course, there is the danger that Lin could become a victim of his newfound fame and fortune, as we’ve witnessed with all too many successful athletes. But Pastor Stephen Chen says the young man is exceedingly humble. Lin’s NBA breakthrough is a feel-good story. Not just for New York Knicks fans, but also for Christians, like yours truly, who count themselves NBA aficionados. 18 Feb	This entry was published on February 18, 2012 at 1:32 PM. It’s filed under Popular Culture, Sports and tagged CHRISTIAN, JEREMY LIN, NBA, NEW YORK KNICKS. Bookmark the permalink. Follow any comments here with the RSS feed for this post.